It was the Summer before my senior year in High School when I ran into my Scout Master. He was also our neighbor in the small fishing village of Longboat Key, FL, where I grew up. “Smoke, good to see you. You going to finish what you started?” he asked. Of course, I knew exactly what he was referring to. You see, a few short years before, I was one of the founding scouts of Troop 44 on Longboat Key. As a new troop, I had the opportunity to immediately become a leader. It didn’t take long for a rapid ascent through the ranks; from Scout, to Tenderfoot, to 2nd Class, to 1st Class, to Star, and on to Life Scout by age 16. I only had a few more requirements to achieve my goal of becoming an Eagle Scout, the Boy Scouts highest rank. While Scouting and camping remained something I cared about, sports, school and social activities had begun to take most of my time. On that hot Summer day while on my way to catch some Mullet with my cast net, Mr. Carmen reminded me, “Smoke, you know that only 4% of boys who start scouting ever achieve the rank of Eagle?”. This had been grilled into us from the first days of scouting. He was reminding me, that in less than a year I would turn 18 and no longer be eligible for advancement. He also knew there was a very good chance I would not finish as he’d seen this happen to many scouts over the years. Wrestling was my priority and I was about to head to Dan Gable’s 28 Day Intensive Training Camp in Iowa. Once the season started, this meant 3 hour practices, 5 days a week and meets and matches on many weekends. Juggling this with school work and applying to colleges would be a challenge as it was, add on all the social distractions that come with senior year in high school and it would be a real challenge to put the necessary time into Scouts. It was a moment of truth. Do I make the commitment to finish what I set out to do or do I take the much easier path and let other things take priority? I remember looking myself in the mirror and asking, “What matters to me?” I decided then and there that I would not let anything get in the way of my goal of Eagle. Looking back, I had no idea of the impact the answer to that question would have on my life. Eleven months later, I completed my Eagle project. We cleaned up part of the beaches on Longboat Key and built a small foot bridge at the LBK Youth Center. I finished right before my 18th birthday. My brother Clay followed suit, earning his Eagle rank a short time later (but also right under the wire). In the end, it was up to me to do the hard work and complete the requirements. I never would have made it without the support and encouragement of my family and the adult leaders in the Troop, when I needed it most. Today, I reflect on this story to share one of the many lessons I have learned: finish what you start. Building the internal fortitude to bear down is hard when there are many other distractions. This is something you cannot teach, but rather one must learn from experience. Looking back on my years since, finishing my Eagle changed my whole life. The willingness to step up and complete what one begins is an essential element for success in business, industry and community activities. I moved to Indianapolis upon graduating from Cornell University and read about an Eagle Scout leadership dinner in town. This is where I met some of the community’s biggest business and community leaders at the time, including then Senator Richard Lugar. At 22 years old, I was networking with a Senator and CEOs of some of the biggest businesses in a town. Prior to this, I only knew a handful of people in Indianapolis. 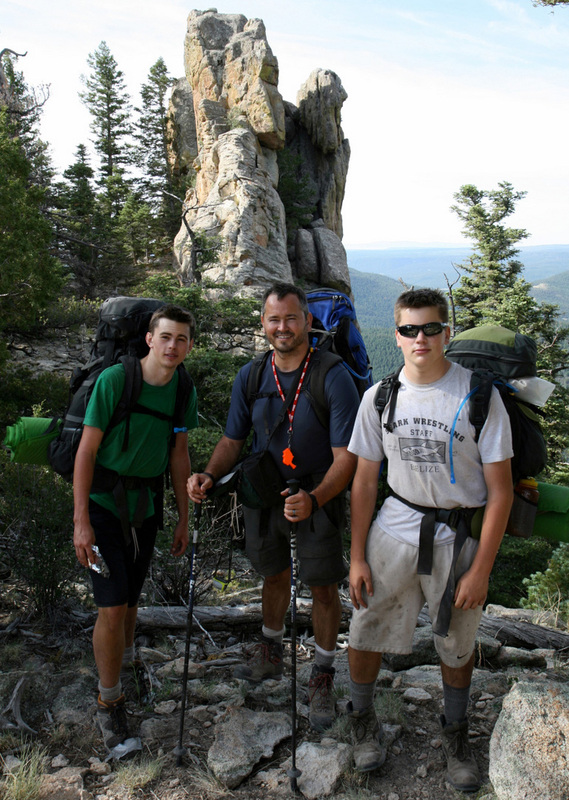 Being an Eagle Scout has opened many doors for me along my personal journey. A few years later, when I was in position to hire talent for my businesses, a candidate with Eagle Scout on their resume would always make my interview list regardless of other experience. It’s the one thing from childhood that has come up time and again throughout my adult life. This would not have happened had I not finished. No one recognizes a Life Scout. When my two sons Skye and Cameron joined Scouting, I told them this story. 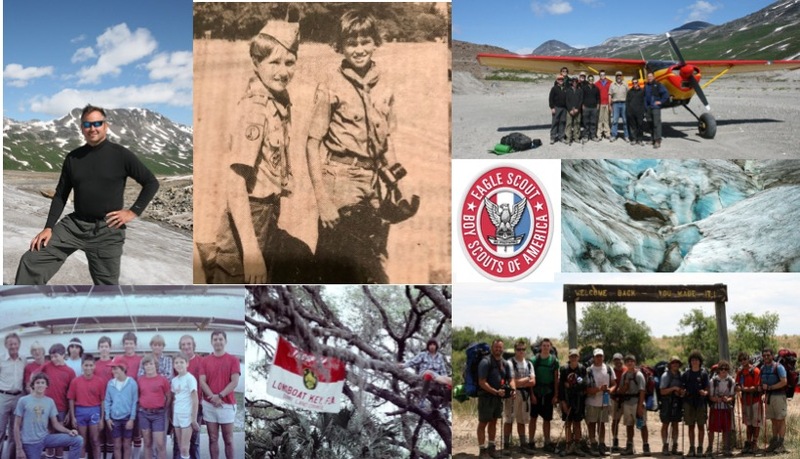 We had many adventures in Scouting together including hiking on the Appalachian Trail, Rocky Mountain National Park, Philmont Scout Ranch and the Wrangell-St. Elias National Park in Alaska. As they got older, when time was running out for their Eagle, I had to remind them of it. There was a good chance they would not finish, but fortunately there were many adults and fellow scouts who helped push them when they needed it most. (Scoutmaster Clifton, Mr. B, the Johnsons, the Stewarts, and other parents, in particular Diana Church). When one starts anything new, it is easy to say, “I’ll finish and reach my goal.” It is a lot harder to actually do it. I’m proud that both sons also went on to earn their Eagle rank. Throughout my career in business as a serial entrepreneur, I’ve encountered many setbacks and roadblocks to achieving my goals. It is how one responds to adversity that determines success. There is a confidence one develops knowing whatever it takes and no matter how difficult the situation one can persevere. When you have the opportunity to give an extra push or words of encouragement to someone you know who is struggling or has lost sight of their goal, do it, even if it is not what they want to hear. Your encouragement could be the thing that gets them over the top to rededicate themselves to achieve their potential. It takes caring people to bring out the best in each of us. Sometimes, one person asking, “are you going to finish what you started?” is the final catalyst needed for action. At the end of the day it is up to the individual to do what it takes. When the going gets tough, the tough get going. When you feel most like giving up, that is the time to bear down and do what it takes to finish what you started. If you enjoyed this read, please follow me on twitter @smokewallin or on https://www.linkedin.com/in/smokewallin and you can read more on my personal website drinktechnology.com. If you know someone how needs to hear this message, please share.